The Ghana Education Service has confirmed that books seized from some students at Wesley Girls Senior High School in Cape Coast contained occultic doctrines. According to the Public Relations Officer of GES, Jonathan Bettey, the 60 paged book titled “The Ministry of Angels and how to activate them” authored by Rev. Vinny Max Bani contains doctrines not encouraged for academic purposes. His comments come after the GES ordered for the removal of the books from the educational system because they had no relevance and contain unapproved content to students. Speaking on Starr Midday News Thursday, Mr. Bettey debunked reports that students were caught practicing occultism but stated that the books found on the students after a thorough search were inappropriate and occultic. “The headmistress as management or part of management went through [the book], the chaplain of the school also went through [the book], the book came to the education office and we have gone through and we have realized that there is nothing good about it as far as academic work is concerned. “When I laid hands on the book and I flipped through, few things that I saw was invoking powers, supernatural powers, invoking angels, invoking other mediums of powers to do so many things…and in our academic institution that is never encouraged as a book for our children to read and study. “Yes [I find it occultic], practices including magic, astrology satanity, invoking supernatural powers, they are all there [in the book],” Mr. Bettey said. Meanwhile, the board of the highly respected Methodist School in a statement Wednesday strongly denied reports that some students of the school were engaged in occultism. The board chairman of the school, Most Reverend Titus Kofi Awotwi Pratt, in a statement described the publication as “unfortunate and regrettable”. 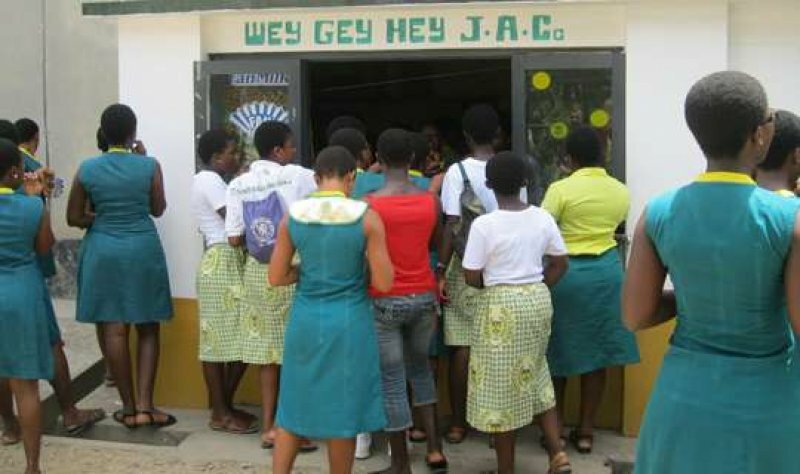 However, prior to the denial by Wesley Girls, the Director-General of the GES Jacob Kor had confirmed to Starr News that a youngman was sacked from the school during visiting hours for distributing books to some students that contained pornographic, lesbianism, occultism and anti-christ materials.